Blurb: Martha McRae is a widow living in a small Mississippi Delta town in the 1950s. She’s obsessed with the sudden death of her Episcopal church’s young rector. A murderer could go free if she doesn’t investigate. But Martha is torn. If she pursues the suspect, her Bible study friend’s awful secret could be revealed. It would be devastating, and life-changing. 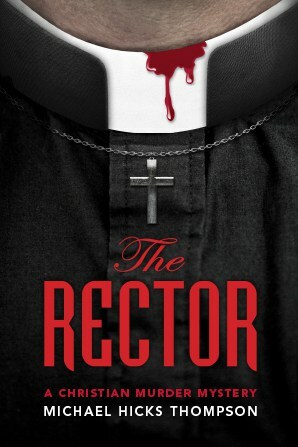 When the new rector arrives, she encounters a new puzzle--one that takes her into Parchman Penitentiary, where she comes face to face with evil. Plot: The routine of Solo inhabitants change with the premature death of their rector, Pastor David Baddour; he died of a massive heart attack; it is what everybody believes, except Martha. After hearing a comment about Pastor David Baddour´s life, Martha is convinced that he was murdered, but who killed the Pastor? A sequence of events changes the routine of the city; meanwhile, Martha tries to discover the truth behind all of that. Everybody becomes a potential suspect. Comment: I don´t use to read this genre of book, but when Mr. Michael Thompson asked me if I´d like to read The Rector I thought, why not? Well, it was a very interesting experience. The story is fantastic and intriguing; when you think that it takes a comfortable, predictable, and safe course, everything changes and new events create more suspense. Martha McRae is a curious woman; many characters love her, others not so much. She is a very intrusive woman. I can´t say that I have a connection with her because I don´t like this kind of person; however, I don´t dislike her. She makes some mistakes and don´t relax while she doesn´t discover the truth about the crime. She uses some immoral and illegal to means to obtain the answers to her questions. Reading the book I asked myself if she´d get into trouble because of that. Click here to read more about Martha McRae. The other characters are complex; they have secrets they don´t want to reveal, but some secrets surface during Martha´s investigation and her thirsty for justice. They are trying to become better people; as any imperfect human being, they make mistakes and they have to handle with their insecurities, forbidden desires, and remorse. Sometimes you think that you can predict what comes next, but you can´t. Every chapter presents new elements and it´s impossible to discover who killed the Pastor; everybody seems to be involved in his death. The author describes very well the habits of Solo´s inhabitants, as well the way a series of events turns their lives upside down. With a compelling writing and many twists and turns, he keeps you engaged into the story. It´s a captivating book.